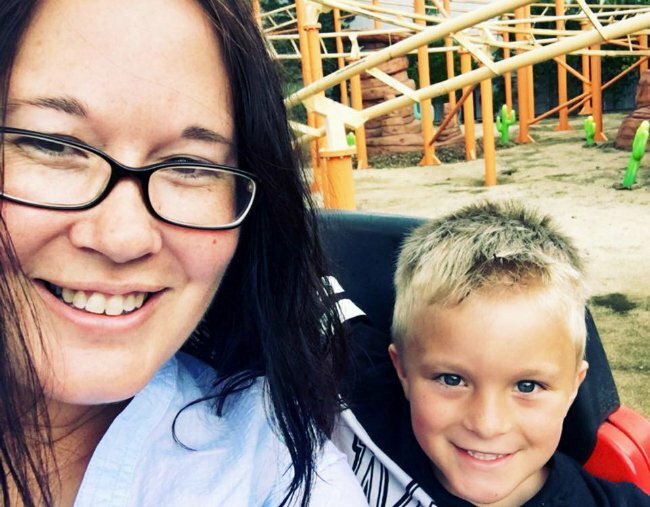 Finding daycare for a child with autism: "How I found the perfect daycare." "I was told by a paediatrician that my son has autism, his child care centre didn't agree." My son Carter was in a mainstream child care centre from the time he was six-months-old. At around 18 months I was told by a paediatrician that she believed Carter had autism, but the child care centre did not agree, even though I could tell they were struggling with him behaviourally. At the age of three Carter was non verbal. The child care centre said, “give him time”. They thought his speech might have been delayed because ‘’his siblings were talking for him’’. I was told to trust them as they were “the experts”. But I knew something wasn’t right; he wouldn’t talk, seemed distant and wouldn’t play with other kids… I felt like I was hitting my head against a brick wall. Carter was diagnosed with Autism at 18 months. Image: Supplied. 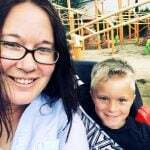 At the age of three (two and half years into child care), Carter was officially diagnosed with Autism Spectrum Disorder (ASD) at Westmead Children’s Hospital. The specialist tried to speak to the child care centre about their experiences with him so he could assess whether Carter was in the right centre but he struggled to get straight answers from them. The specialist gave me a pamphlet (which I still have) outlining services that would be available for Carter. He also recommended that I call SDN Beranga, an autism specific child care centre, so I did. I spoke with an SDN educator over the phone who explained that there was a waitlist and it didn’t matter if you were number four or 59, the places were given to those who needed it most. Regardless, I sent over Carter’s reports and signed up to the waitlist. "The specialist gave me a pamphlet outlining services that would be available for Carter." Image: Supplied. In the meantime, the SDN Beranga team asked me to come for a meet and greet. My best friend and I went with Carter to visit. I said to her, “if we don’t like this joint, we’re bailing”. I was really nervous and concerned about upsetting Carter’s routine by moving centres. The centre was only 20 minutes from my place. We chatted to one of the team members for two hours while Carter explored every inch of the centre. When we left, I had already made up my mind - I HAD to get him in there. I was so confident this would be the place that was going to help him and us, that we would all be fully supported in light of the diagnosis. We applied in October and Carter started there part-time in the new year. SDN Beranga taught Carter to communicate through images, he could explain what he liked and what he didn’t meaning he became less frustrated. His confidence evolved, and the tantrums lessened. He learnt how to express when he was happy and when he was sad. A lot of the screaming stopped as the team helped unlock all of Carter’s feelings. "I said to her, &apos;if we don’t like this joint, we’re bailing&apos;." Image: Supplied. They also allowed Carter to be a little kid. With his communication skills, he also learnt how to play with the other children. They even got him dressing up! In the past my other children (aged 13, 16 and 19) struggled to interact with him. Now my whole family takes turns to read to him at night. The impact it&apos;s had on all of us is indescribable. Fast forward 18 months and SDN had provided Carter with all the necessary skills to transition out of the centre. I would have loved Carter to stay there but other kids needed it more. By the time we left, every single staff member knew Carter, from the cook to the cleaner. Carter had grown up, and the team had done everything they could. Carter is now six and at our local mainstream primary school class. The moment I realised that things had really changed was on day three of orientation. He got up on stage with his class and sang a song and was even doing the actions. I had never seen him sing before. I was in tears; it was the final piece of the puzzle. He even got invited to his first birthday party recently - I obviously responded YES immediately. If I could tell any family with a child with ASD something useful it would be to find the right support. We found the right school for Carter and our family. Yours might not be SDN Beranga (but I highly recommend it! ), it could be a mainstream centre, but whatever you do, don’t wait. Early intervention and education was such an incredibly important part in Carter’s success. I can’t thank the staff at SDN Beranga enough. They gave Carter communication skills and the tools to go to a mainstream primary school. I am so incredibly appreciative for their support and proud of my son.